University of Nottingham > Blogs > Medieval @ Nottingham > Uncategorized > Dr Barbara Reynolds – Happy 100th Birthday! Tomorrow (13 June 2014) is the one hundredth birthday of Dr Barbara Reynolds, President of the Dorothy L. Sayers Society and former Reader in Italian at the University Nottingham from 1966 to 1978. She was also Warden of Willoughby Hall between 1963 and 1969, alongside her husband Lewis Thorpe (Professor of French and well-known translator of Gregory of Tours, History of the Franks and Einhard’s Life of Charlemagne, for the Penguin Classics). An authority on Dante and Petrarch, she published translations of the Divine Comedy (also for Penguin) with her friend Dorothy L. Sayers, the famous author of the Lord Peter Wimsey detective novels. Dr Reynolds was also General Editor of the Cambridge Italian Dictionary published between 1962 and 1981 still one of the best Italian/English dictionaries. In 1995 Dr Reynolds kindly sent me some of the papers which she had kept concerning the ‘Italian Project’ which she set up at Nottingham in the Autumn of 1968, which continued for several years after that. This group of staff and students hosted lectures open to all (including the wider public) which ranged widely on all subjects Italian, including, as might be expected given Reynolds medieval Italian interests, lectures and meetings on medieval subjects. The papers, which will be deposited with Manuscripts and Special Collections, shed fascinating light on the slower pace of life at Nottingham in the late 1960s. Many distinguished people spoke to the Italian Project, including on 5 March 1969 Sir Ashley Clarke, former British Ambassador to Italy and a leading light in the ‘save Venice’ campaign, who gave a public lecture on the Preservation of Venice. When Dr Reynolds left Nottingham the project seems to have come to an end. Her legacy to Nottingham also includes many early editions of Dante and of Italian dictionaries now kept in the University’s Special Collections. If anyone remembers the Italian project I would be delighted to hear from you (ross.balzaretti@nottingham.ac.uk). 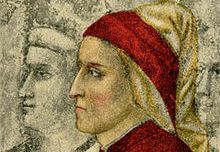 In some ways Dr Reynolds interest in all things Italian is continued today by the local branch of the Dante Alighieri Society (chaired by Carolyn Pritchett), which hosts talks and other events on Italian subjects and to which I and others currently at Nottingham have spoken. It is a pleasure therefore to wish Dr Reynolds a very Happy 100th Birthday!